Property 2: Luxury Wood Cabin set in the tranquil Suffolk Countryside. 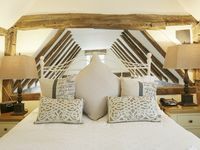 Property 36: Barn Annexe in stunning tranquil setting. Pretty village retreat with Church view, a special place to unwind & relax. Property 37: Pretty village retreat with Church view, a special place to unwind & relax. Fantastic for a week's get away! We were very impressed with this one bedroom cottage. It has everything you would want with up scale appliances. It is located very centrally in Suffolk with lots of villages and big town nearby. Lavenham itself is a wonderful place to shop and visit. We will return to Lady Cottage! !